Can you help to promote Developmental Educators? The DEAI has developed this flyer to promote the skills and services to parents of children with disability and to people living with disability, especially within the context of the National Disability Insurance Scheme. Please feel free to share widely. 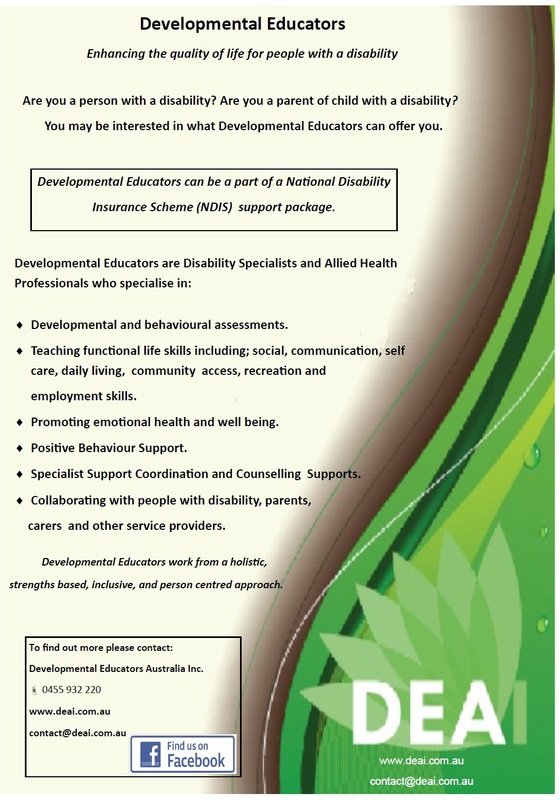 resource national disability insurance scheme, NDIS, parents, people with disability. permalink.